Polychlorinated biphenyls (PCBs) were added into many industrial products (e.g. as dielectric fluids in capacitors and transformers, additives in printing inks) to optimize performance (Jiang et al., 1997 ; Li, 2006). Concerns about the environmental persistence, bioaccumulation capacity and ecosystem toxicity of chlorinated hydrocarbons have lead to the phasing out of PCBs globally (Ross, 2004). PCBs were listed as a serious threat to public health by the Stockholm Convention (Xing et al., 2005). 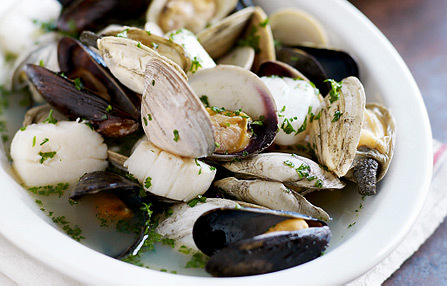 Due to their wide distribution and the available information for comparisons of chemical pollution over the long term, bivalve shellfish including oysters and mussels serve worldwide as sentinel organisms to assess the pollution status of the marine environment (Farrington et al., 1982). There have been many “Mussel and/or Oyster Watch” programs, such as the reports by Tripp et al., 1992; Stephenson and Martin, 1995; O’Connor, 2002 ; Monirith et al., 2003, as well as Tanabe and Subramanian (2006). Spatial monitoring of PCBs in marine bivalves has been reported in several bays and estuaries from the coast of China (e.g. Chen et al., 2002 ; Fang et al., 2004) but there have been few surveys involving temporal monitoring (Jia et al., 2004). The Jinjiang oyster, Crassostrea rivularis Gould, common along the South China coast, was used in a Mussel Watch of the South China Sea during the period 1989–1993 and in the China Marine Mussel Watch Program during 2003–2007. Here we present a recent PCBs data set from the Guangdong coast, and compare it with the early results published by Jia et al. (2004). Persistent organic pollutants enter humans primarily through the food chain, and PCB intake in people living in coastal areas can be mainly attributed to the consumption of seafood (Nakata et al., 2002). Oysters are popular seafood, and in addition to local consumption, Jinjiang oysters from the Guangdong coastline are often sold in the markets of Hong Kong, Macao and other provinces of China. The permissible PCBs limits (w.w.) in Australian seafood (NFA, 1992) were 0.5, and in China and the USA, 2 mg kg−1 (Kannan et al., 1997, Henry et al., 1998 and Health Ministry of China, 2005). PCB residuals in our 45 oyster samples ranged from 0.0043 to 0.253 mg kg−1 (w.w.), and were lower than these criteria.